Jyoti Yelagalawadi, a story teller and writer since her young days, studied creative writing at Lehman College, which is part of the CUNY system in New York City. She worked as a technical writer and managed a publication department in a software company until she decided to get back to her true passions—writing and working with children. Jyoti started Lekha Publishers, LLC, to market books to children. In addition to having received praise for the books and stories that she has published, she has also enjoyed being a mentor to middle and high school students. She did this as part of her duties as editor-in-chief of Balagokulam, a popular children’s magazine, and through YMCA Citizen Schools, where she led the Write On program for middle school students. Lekha Writing Center started as an experiment in the summer of 2006, when a friend asked Jyoti to guide her daughter and a few others in the art of writing. Jyoti’s experience that summer made her decide to start the writing school as a subsidiary of her publishing company. The workshop during the summer continued to grow into after–school classes and camps during presidents’ week, spring break, and summer vacation. Over the past couple of years, Lekha has brought on more experts in the field of creative writing to guide the increasing number of students. 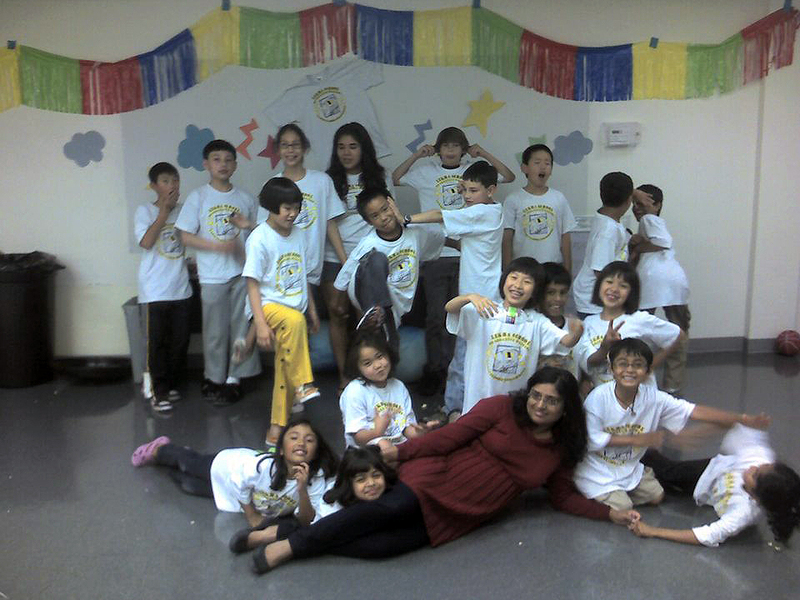 Since 2009, Lekha has been offering enrichment programs in various schools and park and recreation centers. This summer Lekha will conduct camps at fifteen different locations. In the past six years, Jyoti’s students have won prestigious awards in story writing and other creative works. Tyler Sadoff, one of the first Lekha students, published his first novel, A Journey in Time, in October of 2009. Tyler wrote the first draft of his novel during two weeks of summer camp at the age of ten, and was thirteen when the final draft was published. Since then, more than two thousand Lekha students have had their works published in anthologies, and many are working towards publishing their own solo works. “My daughter has found a place to be herself and her teacher says that her writing has really. The camp was a lot of fun and my stories improved and are longer now.